Location is certainly important when storing your excess. Vines Storage offers much more beyond a conveniently-located facility. 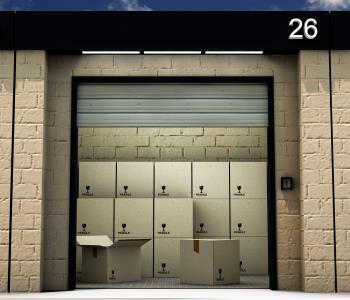 When searching for the Nearest Storage Facility in Redlands CA, also consider what the business is doing to protect belongings and provide value. It’s not enough to just have an alarm system or personalized access control. Vines Storage has advanced alarm and video surveillance technology. Cameras are strategically placed across the facility. Designed from a former warehouse, we understand the benefits as well as the challenges that come with having such an expansive space. Vines Storage ensures complete surveillance coverage, thanks to 32 cameras placed throughout the property. Criminal elements quite literally have a hurdle to get your stuff, due to the 8-foot wall that circles the site. Our staff is located at prime spots to see comings and goings, and to quickly identify and react to anything suspicious. It’s not enough to protect investments from criminal threats. Indoor units are climate-controlled to prevent warping and wear caused by temperature fluctuations and humidity. Our professionals take pride in the overall condition of the property and respective units, and we’re confident that your belongings won’t be damaged by insects or other critters that might affect poorly-managed facilities. Flexible storage options — From longer-term leases to month-to-month units, there is an option suited to your budget and lifestyle. Making moves easy — Our clients appreciate the convenience of on site packing supplies, such as sturdy boxes and tape. The little details that add up — From an onsite dump station to filtered water and ice, and affordable detailing, we know how to treat you and your vehicles like royalty. Call 909-389-6209 to reserve your space. Ask about move-in specials!